..... past glory written on facades of buildings, engraved on cobblestone streets, gathered in museums and churches, memorized by monuments…. And what I like the most – unlike on the pages of the historical documents where you have to face both – the glorious and "not so glorious times", the Old Cities usually preserve only the best of the past. We all know very well that each victory has many fathers, but failures none so their "material" traces disappear quickly. Keeping that in mind we started our visit to the Shanghai’s Old City with high expectations (see previous page). For those already tired of walking I have suggestion that will still offer you opportunity to experience the atmosphere and breathe the air of the Old Town – just see the picture below. These pictures so truly illustrate the present day reality of this mega-city where the old traditions are so strongly interleaved with the omnipresent footprint of the 21ts century. You can see the Old Teahouse and Old Town surroundings in the shadow of the “big new” on the not so far horizon – the 101-story Shanghai World Financial Center just across the river. Or the vivid scene of life - can there be anything stronger than a hug of lovers “frozen” in this rock? After this long tour of Shanghai it is time for the lunch. The choice is abundant – from local restaurants serving Chinese meals to western chain hotels offering more familiar stuff. Talking about hotels – they are marvelous. 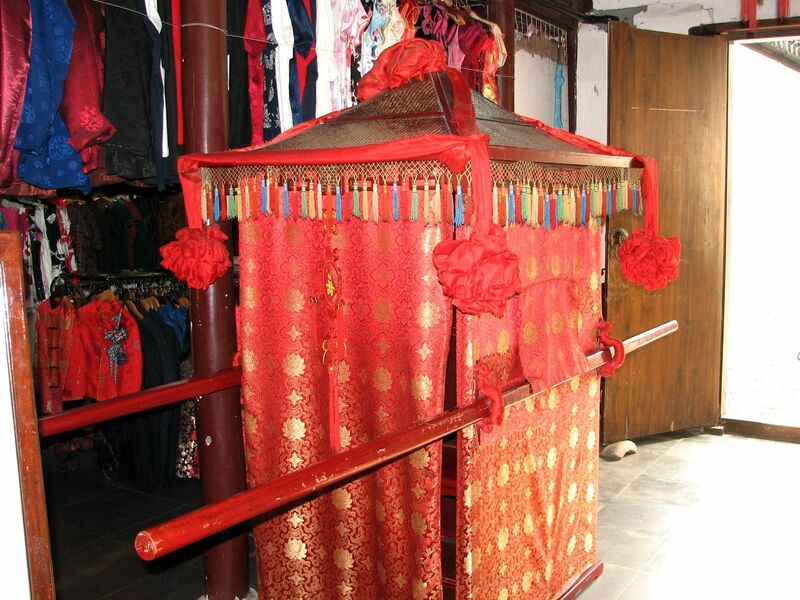 Stunning flower decorations with “Chinese accents” along the common areas what you can see below. Impeccable rooms with modern “all-glass” bathrooms – believe me it is such a wonderful experience taking the shower with the view over the Shanghai skyline…. 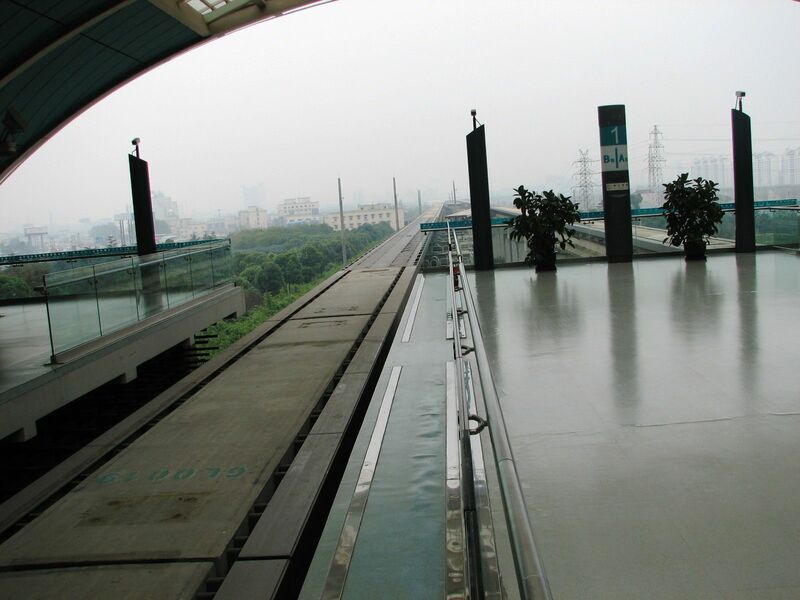 Shanghai Magnetic Levitation Train (Maglev) is the first commercial Maglev line in the world. It is connecting central Shanghai metro system with the international airport Pudong. The distance of about 30 km is completed in slightly more that 7 minutes at the top speed of 431km/h (268 mph). As it takes few minutes to speed up to the top speed and few more to slow down to stop at the airport, the “flying” part of the trip is quite short. 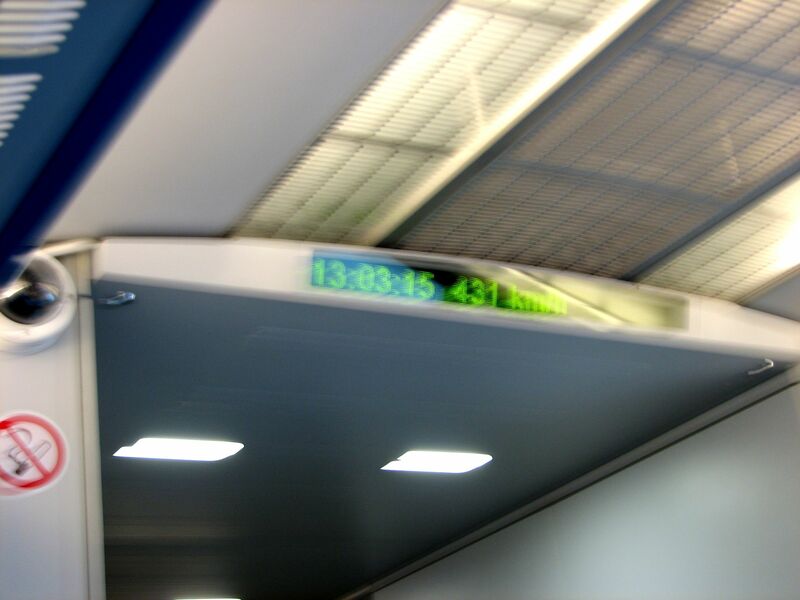 The large LED panel displays the time and train’s speed so passengers can follow this ride with the awareness of breathtaking speed. I took few pictures to memorize this moment, but unfortunately the ride was a bit too shaky at the top speed and so are the pictures. WYSIWYG - You have to believe it! According to the plans the line will get an extension to Hangzhou. The new link will add about 200 km (120 miles) of fast speed train running via Shanghai South Railway Station, Expo 2010 site and Shanghai Hongqiao International Airport. But Shanghai is not only a city of skyscrapers and high-tech marvels. Parks and in general nature were always important part of Chinese everyday life. Left- "Very Old Tree"; Right - Bamboo Forest. Both in downtown, carefully protected from the strong winds. I hope you enjoyed this trip with Free Shanghai City Pictures and Photos to the place where the 21st century "center of gravity" seems to move. Recognizing this undeniable fact I promise more news and pictures from Shanghai in the future. What about spending some time relaxing in the heavenly Yu Garden? May be this is a best time for meditation or at least reflections after so many exciting pictures and stories brought to you from Shanghai? Once (and only once) you relaxed and meditated in Shanghai's Yu Gardens, you can stop at another beautiful Chinese city - Guilin. 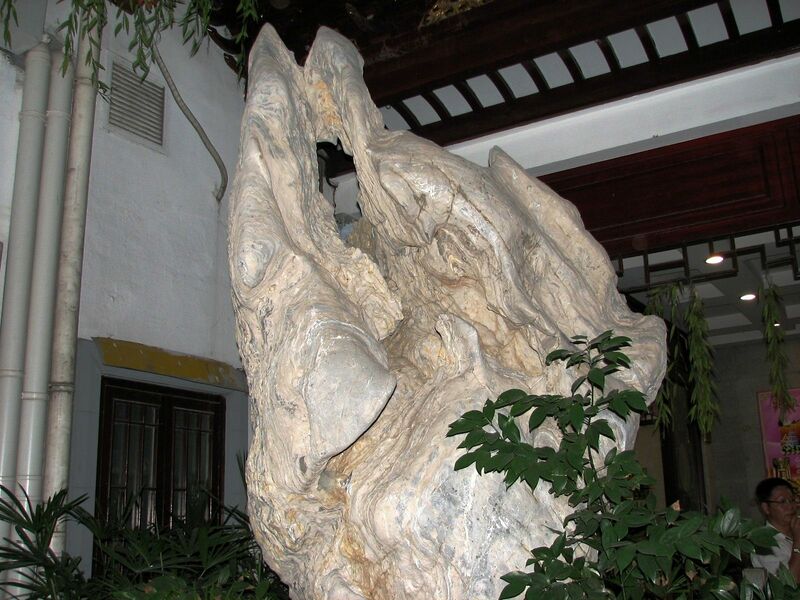 You can tour this city of lakes and parks and enter the marvelous underground world of Guilin Caves. Or relax when cruising on the calm waters of the famous Li River, meandering through its extraordinary landscape. And after the cruise in the late evening watch the fabulous Impression Liu-Sanjie show on the Li River's waters.